On his February 14th Valentine’s Day show of the 50 most eligible doctors, Dr Oz and his guests talk of different ways to combat stress. His guest Dr. Douglass Schottenstein, a neurologist from New York, mentioned using Lemon Balm as a natural way to combat stress. He briefly states that “surprisingly it’s also available as a lip balm”. While he doesn’t come out and state to use the lip balm as a way to fight stress, it’s insinuated. How could you possibly obtain enough of a medicinal dose in a lip balm to reduce stress? 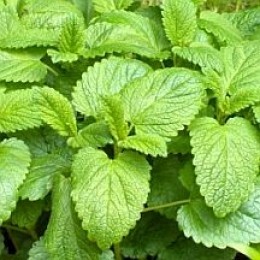 It is very true that lemon balm herb is wonderful for stress and anxiety relief and even insomnia. It has been used for thousands of years as a herbal remedy for both stress and anxiety, but as a tea or a tincture; not as a balm. The balm has been used for as many years to heal antiviral skin issues, such as herpes and herpes cold sores, cuts, scrapes and even shingles. For it’s antiviral healing, it is used topically. It can also be used as an ointment, sitz bath or salve. For it’s stress relieving properties, it is taken internally. For skin healing it’s taken topically. Can you see the difference in how lemon balm is taken for each different need? Lemon balm tea is used to assist with relief from stress and anxiety naturally. Simply pour 6 ounces of hot water over the one tablespoon of the herb. Allow to steep then strain and drink. You can use an herbal tea press or any other type of herb diffuser to strain away the herb after steeping. Drink a 6 oz cup of the tea three to four times a day for a proper dose. Dosage would depend on you and it is best to work with a health care provider such as an herbalist or naturopath. Lemon balm leaf can also be used as a tincture for anxiety. You can make the tincture yourself or buy it premade. A tincture is a concentrated form of the herb so you would only use 10 – 30 drops three times a day. The tincture is normally diluted in warm water. The dosage would depend on the severity of the symptoms and it is best to contact a health care provider that is well versed in herbal medicine for the correct dosage. The problem with using lemon balm in a lip balm form for stress is that you would not be getting enough of a dose to have it work well enough. You’d have to apply it constantly for it to have any effect. A lemon balm lip balm is intended for cold sores and, while it’s potency for treating cold sores works extremely well, it’s not potent enough for quickly relieving the symptoms of stress. If stress relief is your goal, using the tea or tincture is your recommended course of action. Remember that you need to also get to the cause of your stress and anxiety. While herbal remedies can be very effective, you can’t just deal with the symptoms. Seek out appropriate assistance to determine the root cause and properly resolve the situation.